Telecommunications Company (TC) [company identity is concealed] produced a sales management application through internal and contract resources. This application, Schedule Graph (SG) System, was designed to automate the sales schedule process that had previously been a paper and pencil process. The system was designed and implemented in a matter of months to reduce cost and deliver an application that was long overdue. The project had been proposed for years, but funding issues had routinely delayed initiation. The sales development organization worked on the design and development for this application for approximately six months. The application was released with numerous software, hardware and network problems. The effects on the customer community, the information systems department and other stakeholders were sharp and far reaching. This case study investigates the lessons learned with this application and the implications for theory and practice. 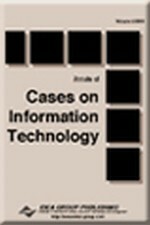 It can be instrumental to information systems managers, academicians and students to learn from the success and pitfalls of other organizations related to information systems development and management.